I'll be speaking at BayThreat 4 tomorrow. 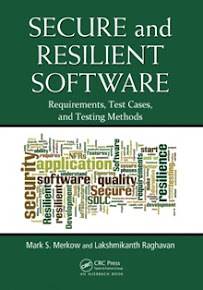 If you managed to grab the tickets (it is all sold out now), please stop by at 10:30 AM ("Building Security" track). This is basically an action-oriented quickfire version of the talk that I did earlier this year at the MS SDL Conference. 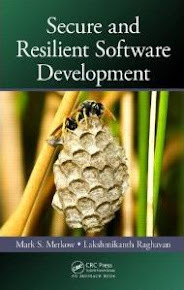 Would you be releasing the 2nd edition of Secure and Resilient Software Development any time soon? Sorry - I currently don't have a plan or a schedule for the 2nd edition. You'll hear updates from me (on this site) or my publisher if there is one. www.srsdlc.com is a personal website. Opinions expressed are not necessarily those of my employer.